Creating an entirely new look and lexicon for The Museum of Contemporary Art (MCA) has the inevitable result of comparison. The MCA’s November rewrite draws to mind thick, filled-block letters like variations on the Criterion Collection’s three-quarter “C,” or maybe mapping chemical structures in a doze-inducing chemistry class, or perhaps Joep Van Lieshout’s Funky Bones sculpture viewed from the sky. To be more exact, the logo features “MCA” patterned both vertically and horizontally in a (well, nearly) perfect tic-tac-toe of letters. The configuration unveils itself in pleasant exclamations: “HI,” “GO,” and a museum-appropriate “AHA(! )” riding the diagonal. 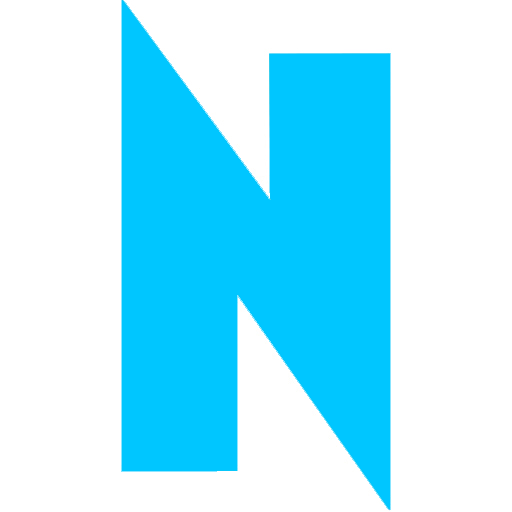 Underlying this design, and the overall visual scheme, is an inversion—the invisible grid made a visible component. Its reception, like that of the similarly inverted design of Paris’ Centre Pompidou, also includes mixed confusion and disorientation. The opportunity to create anew the visual identity of the MCA fell to Mevis en van Deursen, a Dutch firm specializing in publication design. 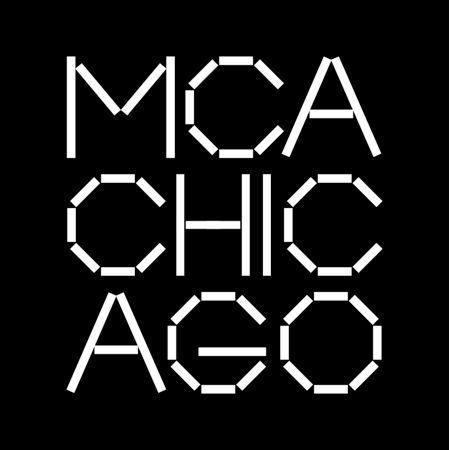 The redesign is sourced from the physical, drawn from both “the city grid of Chicago and the limestone and cast-aluminum squares that form the facade of the MCA.” A counterpart “suite of typefaces” was developed by French designer Karl Nawrot for the museum, composed of quadrilaterals and the ghost-white gaps that form the curves between. Like early map-drawn plats of Chicago, the website marks itself off by squares, the designer’s ruler made visible, with each news item, artwork, or hyperlinked button rooted in its own plot. The grid is what equalizes the city, dividing empty lots, woodland and residential corridors into neat, shapely squares. It is the skeleton of buildings, websites, and cities alike, and the MCA’s pares the visual experience back to this self-perpetuating framework. Looking back (via the Internet Archive Wayback Machine), the museum’s former site, seems, well, bland. The grid prompts a new approach for all that composes the MCA, from visitor badges to the website calendar. The importance of all text is equalized, space is neatly proportioned, and text and images settle each into their delineated cubes. Visitors’ badges take on smart contrasts in result, whereas the calendar seems to hover in oddly non-concise blocks of white against the ever-present grid. Unlike a marquee museum whose exhibitions form the constant interest for a public audience, the MCA seeks to establish itself as the destination. Properly disseminated through in-house design, a new visual identity references a familiar space of artistic dialogue, yet still seeks to provoke its audience. The grid scheme is, if nothing else, noticeable, its body printed in all-caps-like answers to a crossword puzzle.